Have you falling in love with this latest hair color trend? It is call “root shadow“. 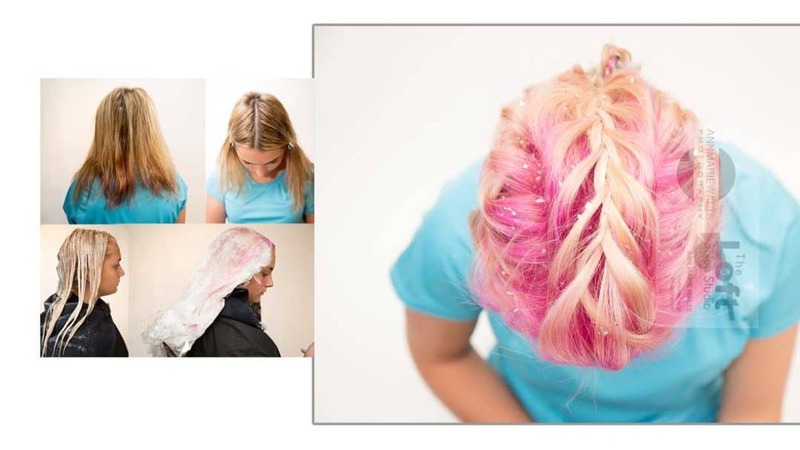 My guest wanted to be a very pale blonde, and when I showed her the different fun colors….she chose the hot pink. Root shadow and Unicorn Hair are here to stay. They are certain a bit brighter than your typical Ombre’. What is funny is that Ombre’ was once said that it was just a fad, but it has been several years now, that that hair color trend has been around. Really, when it comes to hair color…it is your choice to wear what you want. The color combination is really up to you, and there are such fun colors.